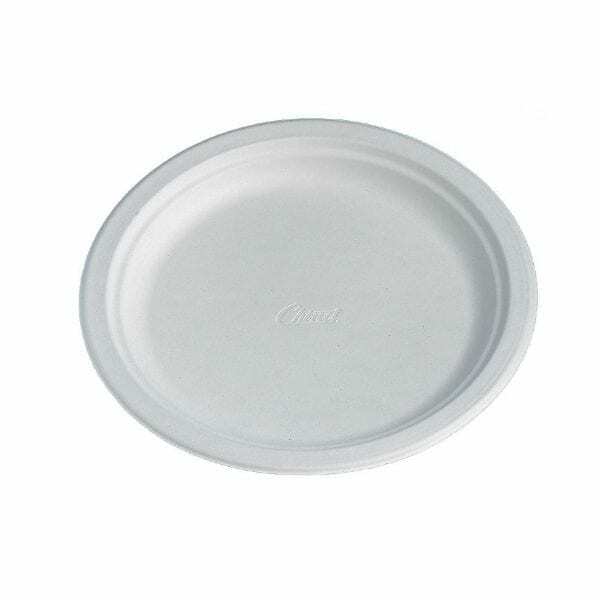 Serve your buffet favourites and party foods in a more earth-friendly way with these 220(Ø)mm Huhtamaki compostable moulded fibre plates. Made entirely from recycled fibre, these disposables plates are incredibly sustainable and will compost within 12 weeks when sent to commercial composting facilities. As such, these plates can help you to minimise your environmental impact, divert more of your waste away from harmful landfill sites and start taking steps towards a greener operation. The premium moulded fibre material means these plates are also remarkably strong, rigid and lightweight, making it easy for your customers to carry large portions.